A fireman who rescued a six-month-old baby and her family during the Queensland floods and shark attack hero Trevor Burns are amongst the 70 people and 15 groups to receive an Australian Bravery Decoration from the Governor-General Quentin Bryce. With a massive clean-up only beginning in Bundaberg, the Queensland damage bill is already higher than the cost of the 2011 floods. 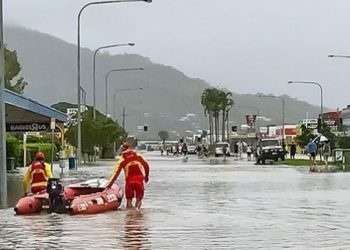 Queensland, Australia is facing its worst natural disaster since the 2011 floods as wild weather caused by ex-tropical cyclone Oswald continues to batter the state. The military have been forced to evacuate several regional centres due to severe flooding and winds of up to 140 kilometres an hour. On the eve of the anniversary of Queensland's deadliest floods, Anna Bligh visited Toowoomba where she unveiled a memorial plaque in the centre of town. 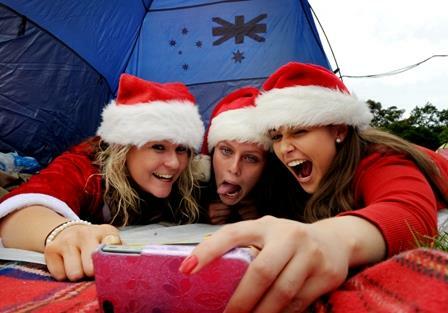 RIGHT SAID ED | 2011 has been an action packed year for Australian Times. I would like to take this opportunity to thank you, our readers and our writers, for contributing to such an awesome year. Treasurer Wayne Swan has described Opposition Leader Tony Abbott as "despicable" for linking the carbon tax to floods which devastated parts of Queensland earlier this year. The geoblock on ABC News 24 will once again be lifted so people around the world can watch coverage of Tropical Cyclone Yasi. Australians in the UK have raised tens of thousands of pounds to help the flood victims in Queensland and Victoria. The Aussie dollar started the week of the 24 January at 1.6149 against the pound. 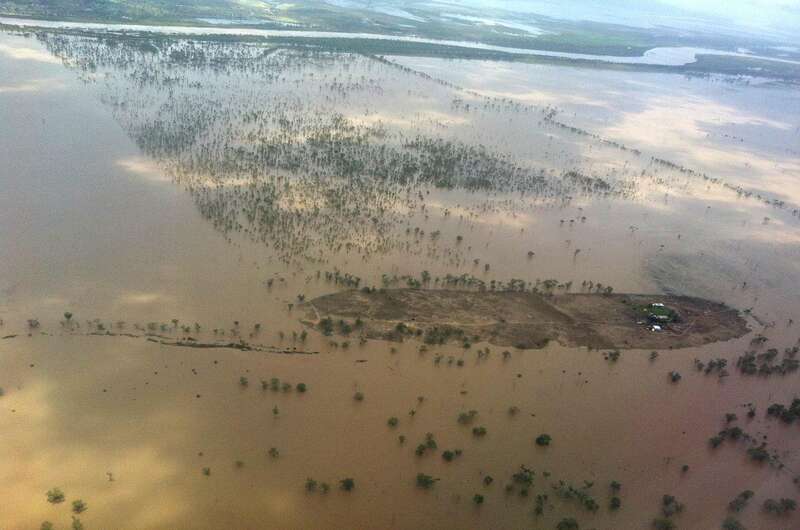 The cricket world, the banking world and the federal government are pledging more funds to help Queensland's and Victoria's flood victims. Prime Minister Julia Gillard says she won't negotiate with the independents at this stage to get the flood levy through parliament. Information on how individuals and businesses in the UK and elsewhere overseas can make a donation to the Queensland flood relief appeal. Feeling that she just had to do something to help the flood victims, this Queensland girl went and arranged her own music event. 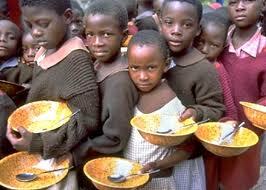 Floodlight will rock London for the cause this Sunday. 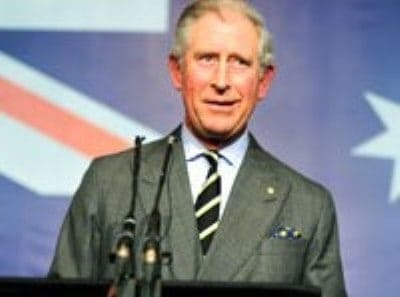 Prince Charles made a special appearance at the Australia House function in London to deliver a brief but touching speech in front of a crowd of about 500 people. When Lesley Slade’s UK working holiday visa came to an end, she returned home to Queensland - the Sunshine State, and was shocked to find floodwaters threatening to engulf her home. This is her story. Veteran British broadcaster Sir Michael Parkinson has praised Australians for their good nature and courageous response to the horrors of recent floods. 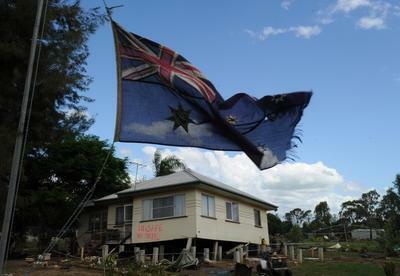 The UK is sending experts to Australia to help QLD with the flood cleanup. 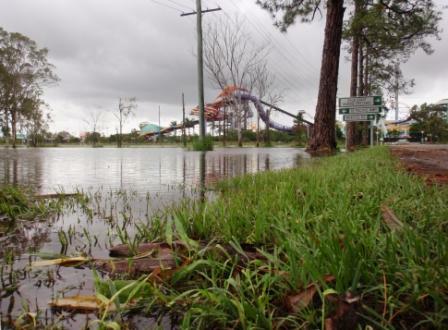 Meanwhile, as floods spread to Victoria, hundreds more homes are expected to be flooded in Victoria's north as the Loddon and Avoca rivers gush towards the Murray. The Australia dollar began trading last week Monday the 10th January 2010 around the 0.64 mark against the British Pound and 0.996 to the US Dollar. The Aussie closed slightly weaker on Friday the 14th January 2010 at 0.63 to the British Pound and 0.999 to the US Dollar. Growing up in Ipswich, all Shane Watson wanted to do was have the chance to emulate the small city's favourite sons Allan Langer and Craig McDermott. According to Ipswich Mayor Paul Pisasale he has done much more. With the waters receding in Queensland and the full extent of the damage revealed, Australians rally to help as the massive clean-up begins. Latest video footage of the Queensland floods.